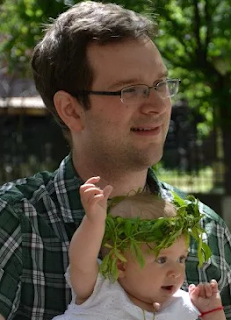 Altered Instinct: And the Sidewise Award winner was... Daniel Bensen! And the Sidewise Award winner was... Daniel Bensen! This week has been somewhat of a celebratory one. 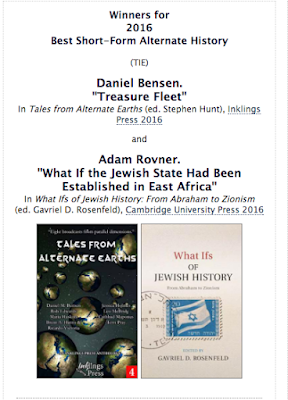 You see, Daniel Bensen only went and did it! He won the Sidewise Award. 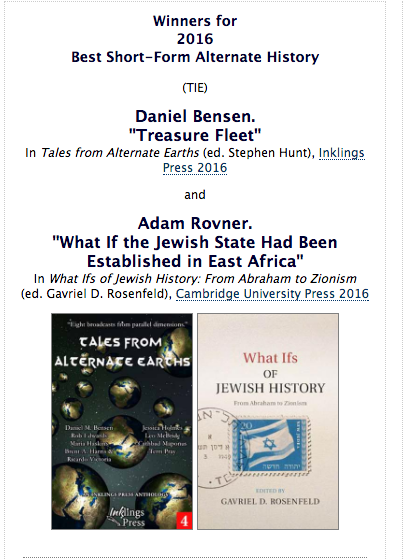 His short story, Treasure Fleet, from the Inklings anthology Tales From Alternate Earths, was named joint winner of the short form award alongside Adam Rovner, for his piece, What If the Jewish State Had Been Established in East Africa, published by Cambridge University Press. For those who don't know Daniel's story, it's a tale that sees Chinese explorers who have adopted the Muslim faith discovering America. The worldbuilding involved to work out what the knock-on effects are shows Daniel's attention to detail, and I sincerely hope this shows that he is bound for big things! Already this week, he's said how he might need to start on a sequel to Treasure Fleet, and start knocking on doors about a novel. Here's hoping this award helps him open those doors. You can follow more of Daniel's adventures on Twitter or over on his Kingdoms of Evil website. Learn more about Tales From Alternate Earths here.